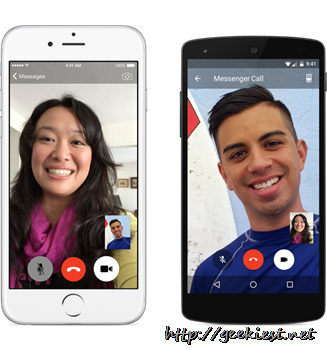 Facebook today introduced video calling in their messenger application. Yes, now you can chat with your Facebook friends face to face. Choose the video icon on the top right corner to access this facility. The video calls will start with the front camera on , but you can switch the camera to the rear one if you want. Messenger already offers people the ability to make voice calls to friends and loved ones around the world. Video calling will expand Messenger’s real-time communication features, enabling the more than 600 million people who use Messenger every month to reach others wherever they are, from anywhere. It’s fast, reliable and high quality. Belgium, Canada, Croatia, Denmark, France, Greece, Ireland, Laos, Lithuania, Mexico, Nigeria, Norway, Oman, Poland, Portugal, the UK, the US and Uruguay. People from other countries will have to wait. Messenger facilities are getting increased. Earlier the messenger Facebook announced the facility to sending money to a friend (This feature will be available soon in US first). 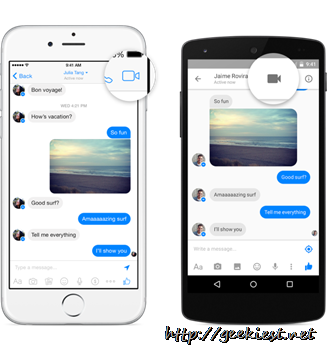 Facebook also released Messenger platform which allows developers to create applications using the messenger service. Facebook introducing Video calling to Facebook messenger. Now available over 18 countries.